[S65] Ancestry - various indices, England, Select Births and Christenings, 1538-1975 [database on-line]. [S2] Registry of Births Deaths and Marriages Federation Index Victoria 1889-1901 "as WELLBORNE." [S14] Newspaper - The Australasian, 18 Oct 1890, p13. died 25 Aug 1879 age 44 yrs. of your charity, pray for the repose of the soul of Florence Elizabeth MASON, who departed this life 20 Nov 1897 age 20 yrs. died 19 Aug 1910 age 68 yrs. who died 20 Mar 1883 age 78 yrs. died 7 Apr 1890 age 38 yrs. 26 Mar 1883, INQUESTS. FOUND DROWNED. [S1] Registry of Births Deaths and Marriages Pioneer Index Victoria 1836-1888 "born Cast." [S11] Newspaper - Argus 26 Mar 1883, p1. [S45] Index of monumental inscriptions in the Melbourne General Cemetery,. [S11] Newspaper - Argus 26 Mar 1883, p7. Female, Mason, Jane, Congestive apoplexy, Castlemaine, 1858/82 Female, 26 Apr 1858,. [S11] Newspaper - Argus 29 Apr 1858, p6. 20 Nov 1879, NOTICE of APPLICATION for a PUBLICANS LICENCE.—To the Licensing Magistrates for the District of Melbourne - I, Elizabeth Bowes of the Australian Hotel, situate in Bourke street in the city of Melbourne, administratrix of the estate and effects of William Patrick Bowes, late the holder of a publican's licence for the said hotel, do hereby give notice that I desire to obtain, and will at the next licensing meeting, to be holden at Melbourne on the 9th day of December, 1870, apply for, a certificate authorising the issue of a publican's licence for a house situate at Bourke street west, in the city of Melbourne, containing 14 rooms, exclusive of those required for the use of the family. The house is at present known as the "Australian Hotel," and for which house a licence was granted to the said William Patrick Bowes. [S11] Newspaper - Argus 22 Aug 1910, p1. [S11] Newspaper - Argus 20 Nov 1879, p8. 26 Aug 1879, INQUEST. DEATH OF MR. W. P. BOWES. Dr Youl held an inquest yesterday upon the body of William Patrick Bowes, aged 44 years, who died early the same day. George Watson, gentleman, master of the Melbourne Hounds, deposed that he was out on Saturday last. The deceased changed horses with him. The horse was a young one, but not vicious. The animal threw witness just before starting, and as he was a little hurt deceased took his horse. After going several miles deceased told witness that the horse was a splendid jumper. Witness did not see the accident. Deceased had one leg shorter than the other. James Blair, jun., gentleman, deposed that he was out with the hounds on Saturday last. Deceased was there too, and witness heard him say that his horse went very well. Soon after deceased had jumped his horse out of a field the animal swerved and commenced to kick. The deceased fell on his head off the horse. He seemed to have lost control of the animal. Wltness pulled up and went to his assistance. He was lying upon his face on a broad flat stone, and was quite insensible. The occurrence was quite accidental. Mr James B Gill gave corroborative evidence. Mr T. N. Fitzgerald, surgeon, deposed that he was called to see deceased at half past 7 o'clock on Saturday evening. He found him in an insensible condition. There were severe lacerations of the scalp. The skull was not fractured. Deceased gradually grow worse, and died early on Monday morning. The cause of death was laceration of the brain from external violence. [S11] Newspaper - Argus 25 Aug 1879, p1. [S11] Newspaper - Argus 26 Aug 1879, p7. [S11] Newspaper - Argus 3 Sep 1879, p1S. Death-Notice* 23 Sep 1914 COSGRAVE.—On the 22nd September, at 46 Morris street, South Williamstown, John Thomas Cosgrave, aged 64 years. COSGRAVE. — The Friends of the late Mr. JOHN THOMAS COSGRAVE are respectfully informed that his remains will be interred in the Melbourne General Cemetery. The funeral will arrive at the cemetery THIS DAY (Wednesday) at 4 o'clock p.m.
28 Aug 1895, MINES ACT 1890. Appendix A.—(Rule 4) NOTICE OF APPLICATION FOR MINING LEASE. I, the undersigned, hereby give notice that, within seven days from the date hereof, * I will leave with the Warden of the Mining Division of St Andrews Division of the Castlemaine Mining District of Heidelberg, an application for a Lease for Mining on Private Land, the particulars whereof are hereunder set forth:— Name in full of each Applicant, with the full address of each, and style under which it is intended that the business shall be carried on — John Thomas Cosgrave of Willurah, Lisson Grove, Hawthorn ; The Willurah Gold Mining Syndicate. Extent and situation of land applied for, and whether on or below the surface, or both, or a lode—About 30 acres; part of portion 80, 81, 83, 84, parish of Pakenham, County of Mornington; on or below surface; a quartz reef. Name od each Person who owns the land or any part thereof—W. Brisbane, portion 80 ; A. Lambert, portion 81 ; J. T. Cosgrave, portion 83 ; L. L. Smith, portion 84. Name of each person (if any) who is in occupation of the land—W. Brisbane, (Melbourne); A. Lambert, Collins St., Melbourne; J. T. Cosgrave, Hawthorn; L. L. Smith, Collins St., Melbourne. Minimum number of men to be employed—For the first 6 months, 2 men ; subsequently when in full work, 6 men. Precise locality of the land—Starting at a post on south boundary of portion 84 and running about N 15 E for about 50 chains to a post, thence E 15 S 6 chains to a post, thence S 15 W 50 chains, thence W 15 N 6 chains along south boundary of portion 84 to commencing post. Term required—Fourteen (14) years. Time of commencing operations—September 16th, 1895. Amount of money proposed to be invested and in what manner the land is to be worked—£500; sinking and prospecting for a gold bearing quartz lode. Whether the boundaries of the land applied for will include any river, creek, deposit of permanent water, spring, artificial reservoir, public roads, or subject to any public rights—None; except 6 chains of a public road on northern boundary of portion 83. General remarks—Nil. Date and place—August 16th, 1895; Melbourne. Dated this 16th day of August, 1895. JOHN THOMAS COSGRAVE, Applicant aforesaid. [S1] Registry of Births Deaths and Marriages Pioneer Index Victoria 1836-1888 "Roman St Francis Melbourne." [S14] Newspaper - Illustrated Australian News (Melbourne), 14 May 1877, p78. [S185] Property Titles. ; PROV (Public Records Office Victoria), C/T 1296-067 - John Thomas Cosgrave of Williamstown Shipping Clerk - C/T 1535-951. [S185] Property Titles. ; PROV (Public Records Office Victoria), C/T 1535-951 - Mortgage No 59032 to Mary Smart. [S185] Property Titles. ; PROV (Public Records Office Victoria), C/T 1535-951 - Mortgage No 71930 to William James Lucas. [S185] Property Titles. ; PROV (Public Records Office Victoria), C/T 1535-951 - John Wilkinson of No 6 St James Buildings William Street Melbourne Civil Engineer. [S185] Property Titles. ; PROV (Public Records Office Victoria), C/T 1535-951 - Mortgage No 110009 to Harry Will Perrin. [S185] Property Titles. ; PROV (Public Records Office Victoria), C/T 1535-951 - John Thomas Cosgrave of Nos 461 to 471 Bourke Street Melbourne Shipping Manager. [S185] Property Titles. ; PROV (Public Records Office Victoria), C/T 1535-951 - Mortgage No 116089 to The General Finance Agency and Guarantee Company of Australila Limited. Mortgage not discharged. [S185] Property Titles. ; PROV (Public Records Office Victoria), C/T 1535-951 - Edward Kinder, Eleanor Welch, Emma Eardley, Shadforth Touzeau transfer to Ida Florence Luke of Pine Lodge Upper Beaconsfield Married Woman - C/T 3499-704. [S11] Newspaper - Argus 23 Sep 1914, p1. [S12] Newspaper - South Bourke and Mornington Journal 13 May 1885, p3. [S12] Newspaper - South Bourke and Mornington Journal 2 Jun 1886, p3. [S12] Newspaper - South Bourke and Mornington Journal 15 Sep 1886, p3. [S12] Newspaper - South Bourke and Mornington Journal 28 Aug 1895, p2. [S12] Newspaper - South Bourke and Mornington Journal 6 Nov 1895, p3. Death-Notice* 9 Dec 1893 ELMES.—On the 8th inst., at his residence, Berwick, Thomas Elmes, J.P., F.R. C.S.I, second son of the late Rev John Elmes of Limerick, in his 55th year. 27 Jun 1868, BANKRUPTS-TUESDAY, June 28. 19 Nov 1868, PORT PHILLIP HEADS. Arrived, November 18. — Antiope, ship, from Liverpool ; she has gone up the South Channel. 16 Apr 1884, MEETING OF RATEPAYERS AT BERWICK. A moderately attended meeting of ratepayers was held last Saturday evening in Bain's Border Hotel, Berwick, to consider and decide upon the advisability of adding another riding to the Shire of Berwick, or a re-adjustment of the boundaries of the present ridings. Mr. Hanley, was voted to the chair, and read the petition which caused him to convene the meeting. He briefly stated that the majority of the councillors objected to a fourth riding of the Shire, but were agreeable to have the boundaries of the Shire so re-adjusted that the most important portions of the Shire would be properly represented in the Shire Council. Councillor White remarked that three months ago Couuncillor Souter brought forward a motion at the Council for the establishment of a fourth riding to be called the Gembrook riding, and it was objected to by a majority of the Councillors on account of the small amount of rates received from that portion of the Shire. He himself opposed the motion. Then a meeting was held at Gembrook and a petition signed asking the Minister to proclaim their territory as a fourth riding to the Shire of Berwick. At a subsequent meeting of the Council, he moved that the Minister be asked not to grant the prayer of that petition. The reason that he objected was because the official work necessary for carrying on another riding was so much that the receipts from that particular riding would not justify the expeniditure. If there was to be a fourth riding the Council would support the claims of Beaconsfield in preference to those of Gembrook. In financial matters the Berwick Council had managed as well as the majority of other councils in the colony. It was for them (the ratepayers) to decide whether a fourth riding was required or not, because he did not think it was at the present time. for themselves. It would be better for the Beaconsfield ratepayers to obtain a riding for themselves, and by taking decisive action they could defeat the object of the Gembrock petition. He had no hesitation in asserting that the rates obtained from Beaconsfield would soon exceed those of the Berwick riding. Their interests had not been studied as they should have been. Councillor White then rose and submitted a motion in favour of the readjustment of boundaries. He stated that the rates from Gembrook amounted to only £170, whilst Berwick, Pakenham and Scoresby ridings were credited with £466, £702 and £490 respectively. —Mr. Stewart seconded the motion. Mr. Brisbane moved as an amendment that a new riding, to be called the Beaconsfield riding, be formed. It would, he said, put a final stop to the disruption of the shire. If the Minister has stated he is in favour of a fourth riding their only chance was to combine in putting forth the claims of Beaconsfield.—Mr. Goff in seconding the amendment remarked that they had had confidence in the Berwick people, and if their support was withdrawn it would leave the Beaconsfield residents in a disgraceful position. Mr. Henderson said he had no objection to a fourth riding, but he could see plainly that twelve members could not work amicably together. He did not consider that Beaconsfield was totally unrepresented, but thought it should be annexed to Berwick in order to obtain sufficient representation. Personally he was in favour of a re-adjustment of the boundaries. Dr. Elmes considered the agitation for a Gembrook riding a very insidious movement. If it could be shown that there would be a fair re-distribution Beaconsfield would go with the rate-payers; if not let them have a fourth riding, and then they would be satisfied. Mr. White remarked that the boundaries of the proposed Beaconsfield riding went within 100 yards of the Pakenham Post Office, and the Pakenham people would never agree to it. Mr. Wilson said he had not heard any thing to justify the amendment, or show that it was at all feasible or fair. Their shire was very large, and Beaconsfield riding would be only a small speck in it. The Berwick people were acting disinterestedly, and were anxious to facilitate approach to the township. Berwick riding was cramped for want of territory, and there was a necessity for a re-adjustment of boundaries. He thought it fair if any portion of a district desired to be annexed to another for mutual benefit that their wishes should be granted. He looked upon the Council as a joint stock company, in which share holders obtained profits in proportion to the number of their shares. There were a number of conflicting opinions on the subject amongst the ratepayers, and he considered it would be improper to proceed further until the matter was thoroughly understood. Mr. Swift thought the matter should be settled at once. He resided in Beaconsfield, and would sooner have a new riding or be annexed to Berwick, than remain as at present. The amendment was then put to the meeting by the chairman and lost, and the motion carried. Dr. Elmes moved that opposition be made to the petition which has been presented to the Minister by the Gembrook ratepayers.—Seconded by Mr. Henderson and carried. 11 Jul 1885, NEW ROLL OF JUSTICES. Last night's Government Gazette contains the revised list of justices of the peace for the various bailiwicks. In addition to the published names, the Premiers and Attorneys-General in other colonies, members of the Executive Council, police magistrates, and coroners and deputy-coroners are regarded as justices ex officio for all bailiwicks. We publish the complete list for the central bailiwick, and the lists of new appointments in the other bailiwicks. * Indicates a new appointment. 22 Feb 1893, THE ORIGIN OF BUSH FIRES. Writing in the Argus yesterday, Dr. Elmes, of Berwick, unburdens himself as follows:—"Sir,—There has been a great deal said from time to time about the origin of bush fires, and all sorts of causes have been given, such as incendiary fires caused by tramps, by broken bottles acting as burning glasses, by burning-off by neglected camp fires, by phosphorised oats, &c.
All these causes may act more or less occasionally, except the broken bottle one, which is simply nonsense. None of them will account for the similtaneons outbreak of fire in a hundred different directions, as happened on Thursday, the 9th inst., an exceptionally hot day, as it always is when these general conflagrations occur. I have been more than 24 years travelling in Gippsland, and I am convinced that these general fires, and most of the partial fires, arise not from above causes, but from that which I am about to state as concisely as possible. In every forest scrub, and even in many places called "clearing," there accumulate heaps, more or less great, of decomposing vegetable matter, composed of dead leaves, branches, decaying fungi, ferns, &c. This decomposition results in the generation of inflammable gases which, upon a certain temperature, are lost harmlessly in the air, or are blown off by the wind. But when the heat of the day rises above a certain point, the gas explodes, the surrounding dry grasses, &c., are fired, and the rest needs no explanation. A very small heap of such decomposing matter will suffice. 20 Dec 1902, Another member of The Argus staff, Miss Frances Elmes, better known as Lino, has also gone to Europe by the Australia, on a six months leave of absence. Thomas 13 son RW b. Ennis, Co Clare, Mary King Elmes 12 dau RW b. Co Limerick,. [S14] Newspaper - West Somerset Free Press, 12 May 1866, p5-6. [S14] Newspaper - Taunton Courier, and Western Advertiser (Somerset), 16 May 1866, p6. [S65] Ancestry - various indices, Series: VPRS 7666; Series Title: Inward Overseas Passenger Lists (British Ports) [Microfiche Copy of VPRS 947]. [S81] Land Records, Parish Maps & Council Rate Books. ; PROV (Public Records Office Victoria), VPRS 5357/P0000/3794 165/77 JOHN COSGRAVE PAKENHAM 20--0--0. 1877 - 1877. [S185] Property Titles. ; PROV (Public Records Office Victoria), C/T 1162-361 - Thomas Elmes of Berwick Surgeon. [S81] Land Records, Parish Maps & Council Rate Books. ; PROV (Public Records Office Victoria), VPRS 626 - 2560/19. [S185] Property Titles. ; PROV (Public Records Office Victoria), C/T 1162-361 - Maria Elms of Richmond Gentlewoman - C/T 1296-067. [S34] PROV (Public Records Office Victoria), VPRS 8350/ P2 unit 70, item 71316. [S339] Series: VPRS 7519/P1/2 Unit 2 PROV (Public Records Office Victoria), Staff Register. [S11] Newspaper - Argus 9 Dec 1893, p1. VPRS 7591/ P2 unit 218, item 54/001. B. 4 Co Limerick, Irish Town Barony, St. John's Parish, John's Square, Limerick (not on LDS film). Co Limerick, City of Limerick Barony, St. John's Parish, St, John's Square. 4-619-B Elms [ELMES] [Sarah] F 80 28/02/1927 769. [S14] Newspaper - Bristol Mercury 27 Jun 1868, p7. [S14] Newspaper - "Local Intelligence." Western Times, 30 June 1868, p. 6. British Library Newspapers, http://tinyurl.galegroup.com/tinyurl/6nykt8. Accessed 25 July 2018. [S14] Newspaper - "EXETER BANKRUPTCY COURT—Yesterday." Western Times, 21 Aug. 1868, p. 8. British Library Newspapers, http://tinyurl.galegroup.com/tinyurl/6nygE3. Accessed 25 July 2018. [S14] Newspaper - "News." Western Gazette, 28 Aug. 1868, p. 7+. British Library Newspapers, http://tinyurl.galegroup.com/tinyurl/6nykp5. Accessed 25 July 2018. [S14] Newspaper - "Bankruptcy Engagements." Western Times, 30 Nov. 1869, p. 5. British Library Newspapers, http://tinyurl.galegroup.com/tinyurl/6nygR4. Accessed 25 July 2018. [S12] Newspaper - South Bourke and Mornington Journal South Bourke and Mornington Journal (Richmond, Vic. : 1877 - 1920; 1926 - 1927), Wed 26 Dec 1883, p3. [S12] Newspaper - South Bourke and Mornington Journal 22 Feb 1893, p3. [S12] Newspaper - South Bourke and Mornington Journal 13 Dec 1893, p3. (Migrant) Migration/Travel 8 Sep 1868 Sailing with Dr Thomas Elmes Frances Fitzgerald Elmes to Melbourne, VIC, Australia. Ship Antiope sailing from Liverpool. Dr Elmes was ship's surgeon. Arrived on 19 November. 10 Jun 1904, THIS DAY. At 2 o'Clock. REDLAND, 22 SUTHERLAND-ROAD, ARMADALE. UNRESERVED SALE of SURPLUS HOUSEHOLD FURNITURE Of Mrs. Elmes. Who is Leaving the District, Comprising Useful Lot of Sittingroom, Bedroom, Hall and Kitchen Furniture, Crockery, Linoleum, Wertheim Sewing Machine, &c.
[S65] Ancestry - various indices, Somerset Heritage Service; Taunton, Somerset, England; Reference Number: DPdun/2/1/6. [S65] Ancestry - various indices, Ancestry.com. Bristol, England, Select Church of England Parish Registers, 1720-1933 [database on-line]. Provo, UT, USA: Ancestry.com Operations, Inc., 2014. [S14] Newspaper - Bristol Mercury, 22 Sep 1860, p8. [S83] Online index to the UK census "Class: RG 9; Piece: 1728; Folio: 64; Page: 14; GSU roll: 542858." [S185] Property Titles. ; PROV (Public Records Office Victoria), C/T 27-274 - Sarah Bamford Elmes - C/T 670-887. [S185] Property Titles. ; PROV (Public Records Office Victoria), C/T 27-274 - Sarah Bamford Elmes the wife of Thomas Elmes of Lyall Road Berwick Surgeon - C/T 2039-677 (consolidated title). [S185] Property Titles. ; PROV (Public Records Office Victoria), C/T 2039-677 - James Curran of Berwick Labourer. [S11] Newspaper - Argus 28 Feb 1927, p1. [S83] Online index to the UK census "Class: HO107; Piece: 938; Book: 7; Civil Parish: Dundry; County: Somerset; Enumeration District: 11; Folio: 13; Page: 1; Line: 19; GSU roll: 474595." [S83] Online index to the UK census "Class: HO107; Piece: 1946; Folio: 80; Page: 2; GSU roll: 221106." [S14] Newspaper - Williamstown Chronicle, 5 Mar 1927, p2. 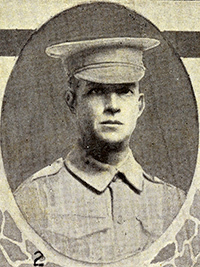 Frederick Warre Elmes enlisted on 17 May 1915 when he was living in Claremont Tasmania. He was 39 years old and a land surveyor. He had previously spent nine months in the South African War. [S35] Probate Records, PROV (Public Records Office Victoria), VPRS 28/ P3 unit 5145, item 429/123. [S29] Nominal Roll, Australian War Memorial - WWI, Military File. [S22] Victorian Government. BDM Index Victoria (online) "born England." [S149] Electoral Roll for Australia, 1949 "noted that both now dead." [S14] Newspaper - MISSING FRIENDS, ETC. 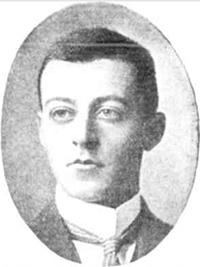 Herbert Oliver Elmes was a student at the Berwick Grammar School. He is remembered on their Honour Avenue. War Services Old Melburnians 1914 - 1918, pages 44, 80, opp. 209 - includes photograph. [S80] Ancestry - Family Tree, Elmes of Cork,Bandon& Limerick &USA - Owner: MargaretE32. [S11] Newspaper - Argus 7 Dec 1916, p1. [S14] Newspaper - Victoria Police Gazette, 7 Nov 1912, p520. On Friday night an entertainment was given in the Rechabite Hall, the proceeds of which, probably about L10, will be given to the mechanics' institute committee. The audience was the best seen in the hall for a long time, and the character of the entertainment first-class. The programme included the following : —Overture, Jeunesse Doree, Misses Searle and Swallow; glee, Hark, the Lark, by the Company; song, The Distant Shore, Rev J. Hill, song, The Old Countree, Miss Taylor; fantasia (violin and piano), Miss Buck and Mr Nelson; song, Simon the Cellarer, Mr Henderson ; Le Lac, Mons Charriol; ventriloquism, Mr Fiiser: pianoforte duet, The Witch's Flight, Misses F. Taylor and N. Madden; song, Pierrot, Miss Buck; song, Mr Dean ; violin solo, Killarney, Mr Nelson ; song, They all belong to Mary, Mr Fraser; song, Anchored, Mr Henderson ; song, Mr W. a'Beckett ; glee, Oberon, by the Company. M. Charriol was encored for his item, and Mr Fraser was very funny with his ventriloquism. The latter was deservedly encored for his comic song; which he gave in great style. [S22] Victorian Government. BDM Index Victoria (online) "indexed as ELMER & ELINES." 23 Apr 1898, VANCE-MACARTHUR. The wedding of the Rev. Lionel G. Vance, son of the Very Rev. the Dean of Melbourne, and Miss Francie, Macarthur, daughter of Mr. and Mrs. Rowan Macarthur, Glen Eva, Cheshunt, took place at the residence of the bride's uncle (Mr. F. W. Howard), Karondar Cheshunt, on Wednesday, April 13. The ceremony was performed by the Dean of Melbourne. The bride, who was given away by her father, wore a travelling dress of fawn cloth, braided in black, and carried a shower bouquet of white flowers, autumn leaves, and asparagus fern. She was attended by her cousin, Miss Eva Howard, the only bridesmaid. Mr. Leslie Vance, brother of the bridegroom, was best man. The room was decorated with flowers and ferns by friends of the bride. The ceremony took place beneath a double archway of ferns, from which hung the initials F. and L. in silver. After the service, the guests, numbering about 60, adjourned to the dining-room, where breakfast was served, the Dean of Melbourne proposing the healths of the bride and bride groom, who subsequently left for Glenrowan, en route for Bright, where the honeymoon will be spent. Amongst those present were:-The Dean of Melbourne and Mrs. H Vance, Miss Muriel Vance, Mr. Leslie Vance, Mr. and Mrs. F. W. Howard, Miss Howard, Miss Eva Howard, Miss Ida Howard, Miss Dorothy Howard, Miss Beryl Howard, Mr. F. C. Howard, Mr. Percy Howard, Mrs. C. J. Henty, Mrs. Walter Butler, Mr. and Mrs. Richard Butler, Mrs. Charles Jameson, Mrs. M'Eacharn, Mr. and Mrs. A. H. Smith, Miss Smith, Miss Thatcher, M.D., Mr. and Mrs. John Alsop, Miss Florence Alsop, Mr. and Mrs. Jennings Smith, Miss Jennings Smith, Miss Winifred Jennings Smith, Mr. Temple Jennings Smith, the Rev. and Mrs. Mallet, Mrs. James Anderson, Miss Muriel Anderson, Miss Mollie Anderson, Miss Gwladys Anderson, Miss Dorothy Latham, Mr. and Mrs. Outhwaite, Mr. A. J. Franks, Miss Violet Chomley, Mr. Frank Chomley, Mr. Rawdon Chomley, Mr. and Mrs. C. Chomley, Mr. and Mrs. H. B. Chomley, Mr. Robert Elmes, Mr. and Mrs. James Trevor. [S1] Registry of Births Deaths and Marriages Pioneer Index Victoria 1836-1888 "indexed as Robert Margaret." [S106] Electoral Roll for Australia, 1906. Death-Notice* 19 May 1855 On the 18th inst., at Fleet-street, Collingwood, Jane Butterworth Dickson, aged thirty-five years, wife of Mr. Archd. Hunter, Melbourne, formerly of Broxburn and Boness, Linlithgowshire, Scotland ; much regretted. Friends will please accept of this intimation, P.S.-Papers at home please copy. [S36] Inward & outward passenger lists to and from Victoria. Series: VPRS 14; 7666; 7667; 7786); PROV (Public Records Office Victoria), B 076 003. [S22] Victorian Government. BDM Index Victoria (online) "Spouse Archibald HUNTER." [S11] Newspaper - Argus 19 May 1855, p4 p8. [S83] Online index to the UK census "Parish: Uphall; ED: 1; Page: 23; Line: 1390; Year: 1841." [S83] Online index to the UK census "Parish: Boness; ED: 2; Page: 13; Line: 7; Roll: CSSCT1851_173; Year: 1851." Birth Place: Bo'ness, West Lothian, Scotland Father: Archibald Hunter Mother: Jane Butterworth Dickson. [S14] Newspaper - Dundee Courier, 17 Jan 1849. [S14] Newspaper - Falkirk Herald (Falkirk, Stirlingshire, Scotland) 5 Feb 1876. [S11] Newspaper - Argus 3 Jun 1891, p1. [S83] Online index to the UK census "Parish: Uphall; ED: 1; Page: 9; Line: 5; Roll: CSSCT1861_121." Marriage* 20 Dec 1916 #M3419/p366 married Dorothy Anne Ryan on 20 Dec 1916 in Queensland. Death-Notice* 11 Oct 1954 CLOSE, Mr. Herbert Jackson, 32 Inglis Street, Grange. — The Relatives and Friends of Mrs. D. A. Close, Mr. and Mrs. A. Cruden and Mr. and Mrs. G. Allan, and Families are respectfully advised that the Funeral of her beloved Husband, and their beloved Father, Father-in-law, and Grandfather, is appointed to leave the Parlour 400 Wickham Street, To-day (Monday), for Mt. Thompson Crematorium, after service, commencing at 10.15 a.m. Cut flowers by request. METROPOLITAN FUNERALS. [S1] Registry of Births Deaths and Marriages Pioneer Index Victoria 1836-1888 "Robert Shaw CLOSE & Margaret WHITE (birth reg) or Margaret MASON (death reg) had a son Samuel Herbert CLOSE b 1878/25586 Sand, died 1879/9151 Landridge aged 10M." [S65] Ancestry - various indices. [S14] Newspaper - The Courier-Mail, 11 Oct 1954, p14. [S12] Newspaper - South Bourke and Mornington Journal 29 Sep 1910, p2. [S14] Newspaper - Brisbane Courier, 15 Mar 1928, p11. Marriage (1) 18 Feb 1897 Campbelltown, Tasmania, Marion Elizabeth Clarke (dec. 1915), (2) 11 Sept 1917 Roma Mary Hill Neill nee James; 1s. Party Note Supported no-confidence motion against Bent 1908. Death-Notice* 27 Sep 1946 BAYLES. - On September 25, at Umina, Lansell road, Toorak. Norman, loved father of Ian Norman, and brother of Walter Melville Bayles. Two brothers, both elderly, were injured yesterday afternoon within about an hour in remarkably similar circumstances. Knocked down by an Army vehicle in Spring st, city, near Parliament House, Norman Bayles, 81, of the Melbourne Club, Collins st, city, suffered a fractured leg and head injuries. He was admitted to St Vincent's Hospital. Shortly after, when his brother, Mr Walter Bayles, 75, of Woorigaleen rd, Toorak, learned of the accident, he called at the Melbourne Club to inquire to which hospital his brother had been taken. As he crossed Collins st he also was struck by a car and suffered severe concussion. He received attention from a Collins st doctor and was sent home by ambulance. Both accidents were reported to the Civil Ambulance by the same policeman. Mr Norman Bayles died yesterday at his residence in Lansell rd, Toorak. Mr Bayles was elected to the Legislative Assembly for Toorak in 1906, and retained the seat until 1920, when he did not seek re-election. 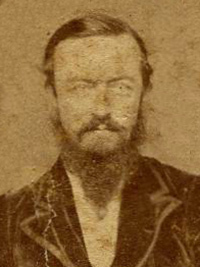 A son of the late Alderman Bayles, he entered Scotch College in 1875. For many years he practised in Melbourne as a barrister and solicitor, and he several times represented Victoria in interstate tennis matches. He was a member of the MCC committee for several years. Estate in Victoria sworn at £82,639 gross (all personalty) was left by Mr Norman Bayles, solicitor, late of Lansell rd, Toorak, who died on September 25 last. The will was dated November 30, 1945. Norman Bayles (1865-1946), politician and solicitor, was born on 1 February 1865 at Prahran, Victoria, sixth child of William Bayles, merchant, and his wife Isobel, née Buist. The family lived in Toorak. Norman was educated at Toorak and Scotch colleges and in 1883 attended classes at the University of Melbourne. Later he practised as a solicitor and became a member of the firm of Bayles, Hamilton & Wilks. On 18 February 1897 at Campbell Town, Tasmania, he married Marion Elizabeth Clarke, who died in 1915 leaving no issue. On 11 September 1917 he married a widow, Roma Mary Hill Neill, née James; they had one son. When young, Bayles achieved renown as a tennis player, and was three times joint holder of that Victorian doubles championship; (Sir) Norman and (Dame) Mabel Brookes were his friends. He had gained political experience campaigning for D. Gillies and (Sir) George Fairbairn before he won the Legislative Assembly by-election in 1906 for the highly prized Toorak constituency. He retained something of a dashing image, though Melbourne Punch thought that 'his mannerism had always suggested the aesthetic—the drawing room as against the football field'. In his maiden speech he declared his intention of playing the game, and jovially warned other members that 'if they hit hard they must not expect him not to do the same, because he had a rather good left, and a good counter, too'. Bayles, as befitting the representative of Toorak, soon established a reputation as one of the most conservative members. He opposed the land tax and resisted Sir Thomas Bent's closer settlement legislation. 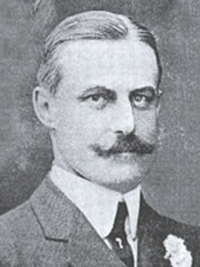 Never afraid to pursue an independent line, he helped to expel Bent from office in 1909; during World War I he was a member of the so-called 'Economy Party', which was critical of Sir Alexander Peacock's government. On moral issues he was responsive to the women's vote and always received a good deal of female support; he favoured legislation to suppress the gaming business of John Wren, and voted for the continuation of six-o'clock closing after the war. However, fourteen years of politics were enough for him and he retired in 1920. [S185] Property Titles. ; PROV (Public Records Office Victoria), C/T 2760-920. Bayles crossed out: now Rev Eustace Wade, Ridgley College Parkville 1923 GEM Lot 60 105 N10 paid also bought Lot 45 from Edward Chase 12.5.1924. [S186] Website Victorian Parliament Re-member (http://www.parliament.vic.gov.au/re-member/) "Browne, G, 'Biographical Register of the Victorian Parliament 1900-84', 1985." 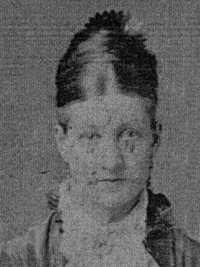 Marion Eliza CLARKE, present and usual address Hobart, age 32, Gentlewoman, [par Thomas Biggs & Hannah Clarke] father a grazier." [S185] Property Titles. ; PROV (Public Records Office Victoria), C/T 2760-920 - Norman Bayles to Eustace Vernon Wade of Ridley College Sydney Road Parkville Minister of Religion. there was a caveat No 46639 lodged on this property on 16 May 1916 - lapsed 13 Sep 1923. [S11] Newspaper - Argus 27 Sep 1946, p2 + p20. [S11] Newspaper - Argus 7 Mar 1946, p20. [S11] Newspaper - Argus 26 Aug 1946, p2. [S11] Newspaper - Argus 26 Sep 1946, p3. [S11] Newspaper - Argus 14 Dec 1946, p6. [S55] Adb online, online http://adbonline.anu.edu.au/adbonline.htm, John Rickard, 'Bayles, Norman (1865–1946)', Australian Dictionary of Biography, National Centre of Biography, Australian National University, http://adb.anu.edu.au/biography/bayles-norman-5161/text8663, published first in hardcopy 1979, accessed online 19 January 2016. K. Rollison, Groups and Attitudes in the Victorian Legislative Assembly, 1900-1909 (Ph.D. thesis, La Trobe University, 1972). [S11] Newspaper - Argus 10 Aug 1942, p2. [S12] Newspaper - South Bourke and Mornington Journal 4 Dec 1907, p3. [S12] Newspaper - South Bourke and Mornington Journal 18 Mar 1908, p3.